The imagery of the cycles of the moon is so mystical and magical. No matter where we are on earth, we are all looking at the same moon. There's something really beautiful and comforting in that idea. For me the moon brings back a romantic memory. My husband and I are from two different countries and our relationship started long distance. We found some comfort across the distance knowing that though we were miles apart, we shared the same moon. 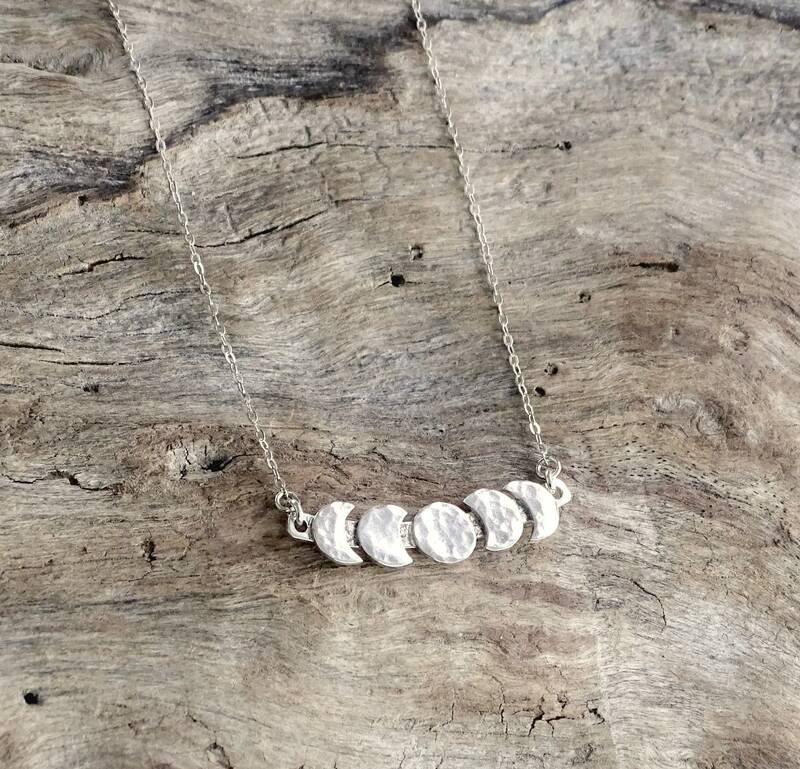 When creating this custom design I wanted to show a few of the many phases of the moon. 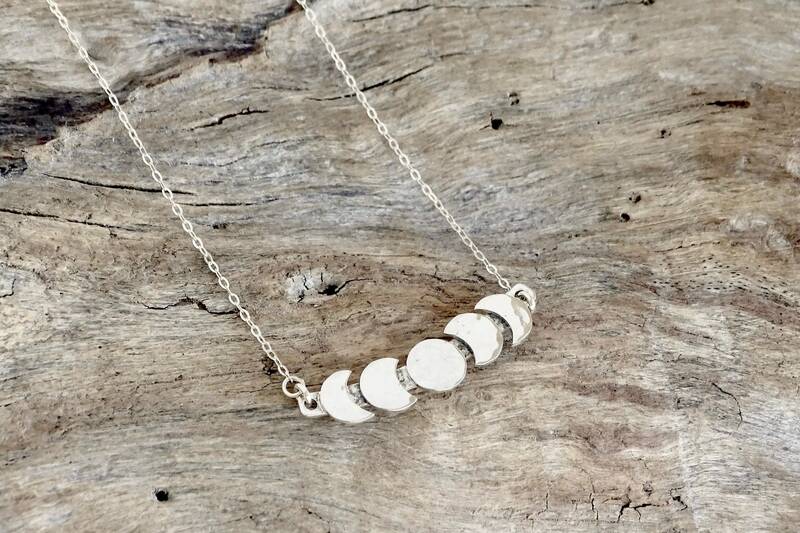 I used 18 gauge sterling silver to create each cycle of this celestial necklace. I used a hammer to create texture on each phase. The moon texture glistens when it catches light. 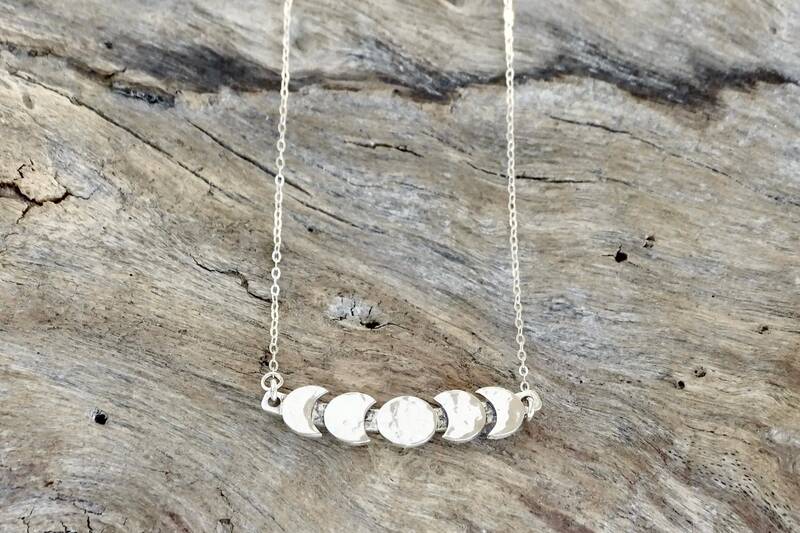 Each moon is then soldered with sterling silver solder to a curved bar and then each ring closed. This design is perfect for layering. 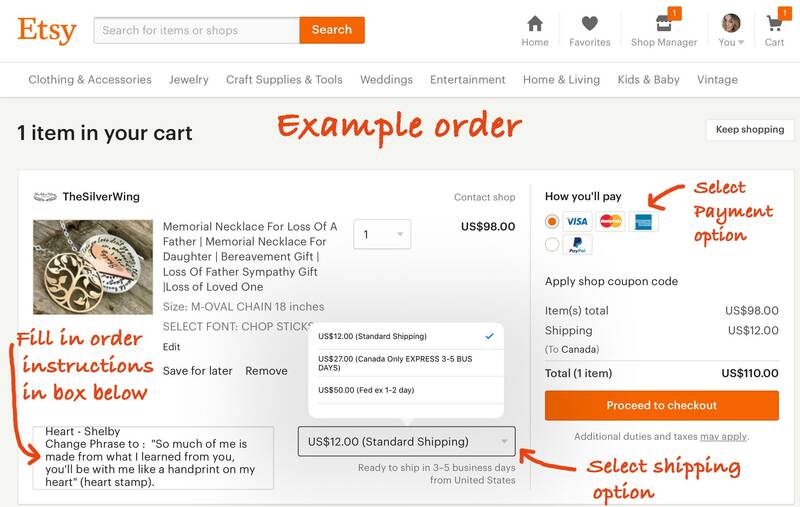 You have the option to have it created as a choker style ( 14-17”) to wear alone or with several other necklaces to create your own unique style. You also have the option to have this created to a length up to 24” for a completely different look. 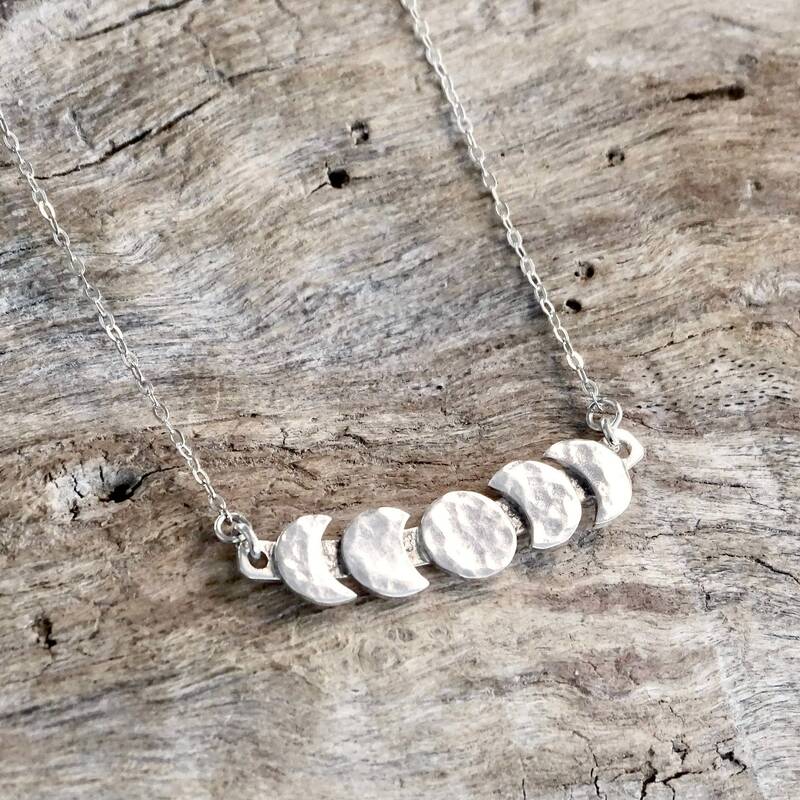 ♥ Sterling silver moon phase shapes soldered to a solid rounded bar. - Width of bar is around 2". 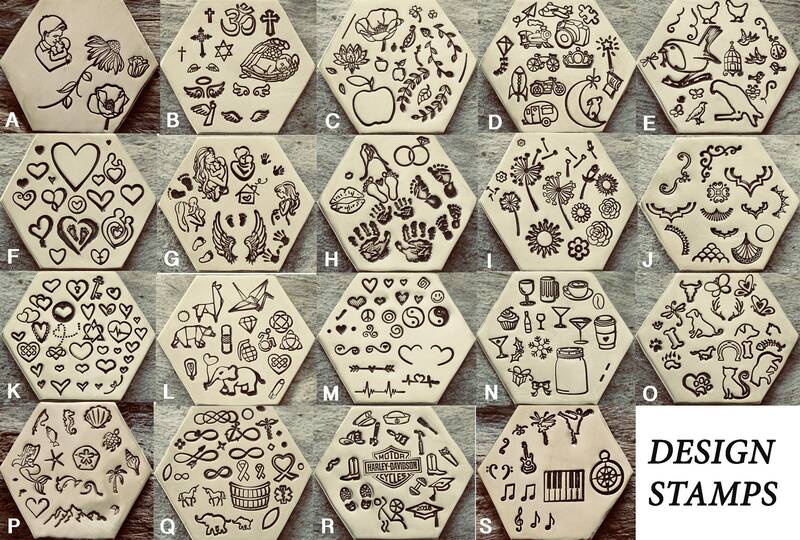 Each shape cut from a hand cut 1/2” circle and hammered to show detail. 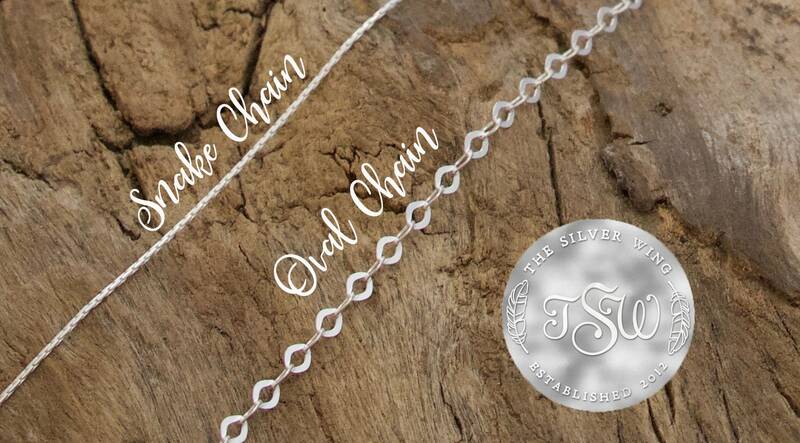 ♥ Each end of Bar is attached Sterling Silver Chain with a soldered jumpring and closed with a lobster claw closure. PLEASE VIEW ALL PHOTOS IN THIS LISTING TO VIEW ALL AVAILABLE OPTIONS. © 2012 - 2019 TheSilverWing. All creations, designs, handmade charms, photos, and item descriptions & title verbiage are copyright protected and property of The Silver Wing. 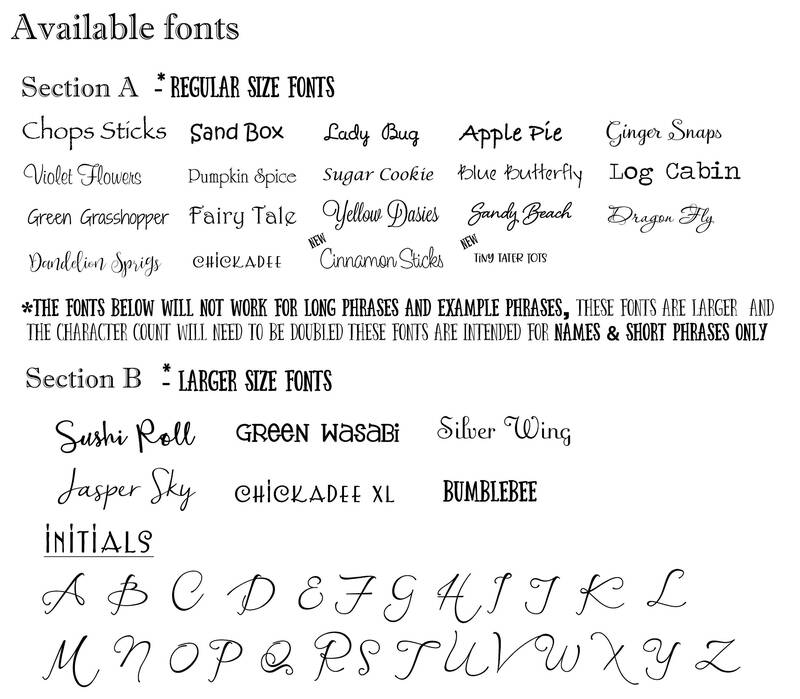 *Photos may not be used without permission of the Designer/Artist/Creator of The Silver Wing.